This majestic hotel is thought to be the inspiration for Toad in the Hall in The Wind in the Willows...so come and stay in this quintessential piece of English heritage. This seaside mansion is home to fantastic views from its manicured garden, an indulgent spa & fine dining that brings you the very best of Cornish hospitality. Your hotel overlooks the picturesque ancient port of Fowey, an area of outstanding natural beauty and a magnet for sailing fans. With miles of stunning coastline, rolling moorland and protected heath land this stretch of countryside won't fail to enchant! With miles of stunning coastline, rolling moorland, protected heathland, enough beaches to visit one every day of the year, an exciting art scene and World Heritage Sites, Cornwall both on and off the water has endless possibilities for everyone who visits. Enjoy stunning gardens, beach walks, heritage attractions, golf and, for those who fancy something a little more active, plenty of outdoor or water-based activities. This majestic hotel is thought to be the inspiration for Toad in the Hall in The Wind in the Willows. 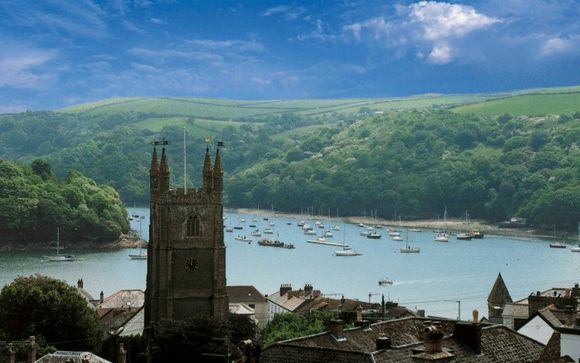 But its literary credentials don't end here, a short walk up the picturesque coastal footpath to Menabilly Estate will take you to Daphne du Maurier's former home, while to the east is the famous Fowey Estuary a memorable area that has been inspiring locals and residents alike since Tudor times. 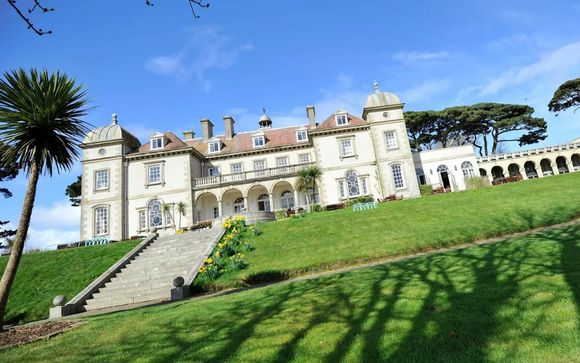 This Victorian showpiece dominates the coastline, and can be easily seen peaking out from behind the trees and it makes the most of its sublime location with a sculptured terrace that looks out over Fowey's picturesque bay. 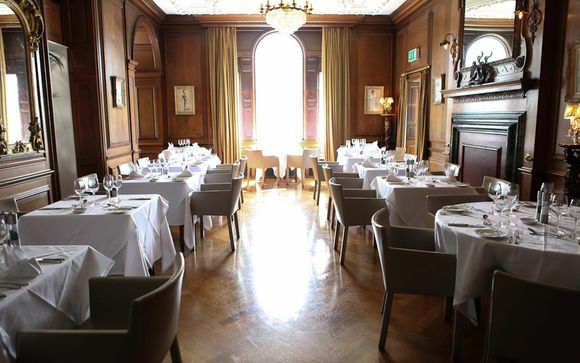 The hotel itself feels like a grand home with an elegant hall that leads to a panelled dining room that exudes old-world charm and a large staircase that ascends to inviting rooms. With its grand staircase, parquet floors and ornate plasterwork, there is still a strong sense of staying in a Victorian gentleman’s residence. Soak in a claw-foot bathtub, sink into plush sofas, gaze out at the calming sea views and sprawl out in spacious suites...these are just some of the stand-out features that await you at Fowey Hall. - Deluxe Double Room (max. 4 persons): Located in the courtyard, around a minute’s walk from the main hotel, they’re decorated in a comfortably modern style with families in mind, these rooms are modern, spacious and above all, inviting. - Deluxe View Room (max. 4 persons): These rooms have all the comforts of a Deluxe Room with an excellent view out over the garden and toward the estuary. - Family Suite (max. 4 persons): Bright & modern, these rooms are designed to be your home away from home. - Large Family Suite (max. 4 persons): Ideal for larger families who like a little space, these suites comfortably accommodate a family with views over the garden and out towards the estuary. - Interconnecting Rooms (max. 6 persons): These rooms are a flexible option in the main house with estuary views: providing two bedrooms and two bathrooms. Please note: the bed for the 3rd or more guest sharing is likely to be a sofa bed or camp style bed. Excellent Cornish cuisine is at the heart of everything this restaurant creates. Fresh sea food is brought in daily to Fowey's picturesque harbour, the meat comes from local farms that house the animals on the rolling emerald hills that surround the hotel and vegetables come from local farms as well. Quite simply, this is the ultimate in farm-to-table experience. Each menu has been created to incorporate the best the season has to offer, complemented by Cornish-inspired flavours such as samphire from the beaches and herbs picked straight from the hotel garden. Unwind with the hotel's magnificent view as you're soaking in the hotel's terrace hot tub or take some time out with a dip in the pool. 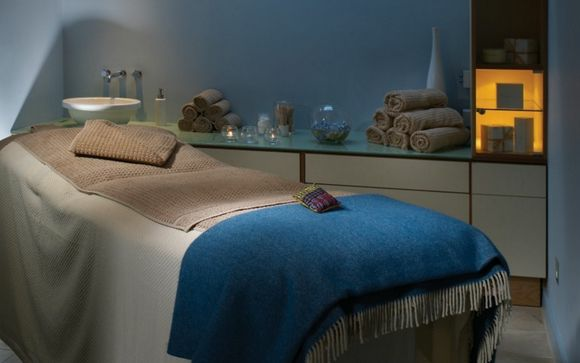 For the ultimate relaxation there's the hotel's calming treatment rooms where cool colour scheme and expert hands will stimulate your senses. Your hotel is approximately 10min / 6.5km from Par Station.